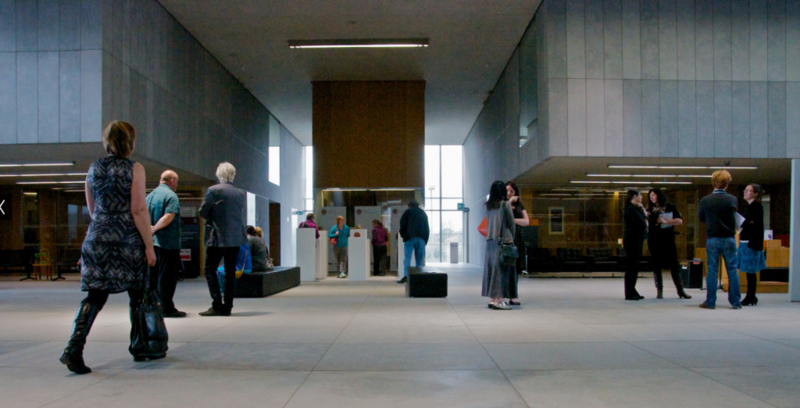 Our aim is to improve the quality of life for the citizens of County Wexford by enabling people to engage in high quality arts experiences and by stimulating and supporting standards of excellence among artists in their practice. 2014 marked the 20th anniversary of the establishment of the Arts Department of Wexford County Council. One of the Art Department’s first developments was the creation of the Wexford County Council Art Collection. This online gallery of the Collection was created to mark this anniversary. The online gallery features detailed images of the Collection with a biography of each individual artist. The ‘Home’ page showcases all the artworks in the Collection and there is also a ‘Categories’ list and a ‘Tag’ list linking all of the artists within the Collection. There is a virtual tour of the County Hall on the ‘Visit’ page of this site. Visitors to this site can view works from the Collection hanging in the two galleries of County Hall and an exhibition by artist Stephen Brandes which was exhibited in the main lobby from the 4th July to 20th September 2014. The Collection is managed by the Arts Department in consultation with the Friends of County Wexford Art Collection and consists of almost 200 pieces of purchased, donated and loaned works. The Collection contains pieces by noted artists of national and local importance such as Mary Swanzy, Neil Shawcross, Louis le Brocquy, Colin Davidson and Paul Funge, to name but a few. Wexford County Council is one of only a handful of local authorities to establish such a body of work and is proud to be able to showcase a further twenty pieces currently on loan from the AIB Collection of Modern Irish Art and the Arts Council Collection under its highly successful partnership scheme. It is hoped that this online gallery, part of the Arts Department’s outreach programme, will be a useful educational tool for students and provide greater access for all to the Collection. For more details about the collection please contact us by email at arts@wexfordcoco.ie or by phone 053 9196369.